Egyptian Prime Minister Mostafa Madbouli. 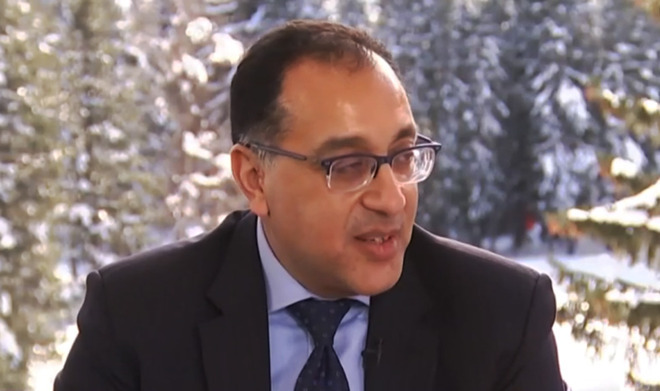 "I think Egypt is a big market and attractive for Apple to exist in directly," Madbouli said in a CNBC interview. "Apple has been in Egypt but through indirect agents, suppliers... But really, we discussed yesterday [with Apple], the idea really [is] to have Apple be in Egypt to be one of its industrial hubs and a destination to serve the whole [Middle East] region." The talks could be connected to a row with the country's Competition Authority, which on Dec. 11 issued a 60-day deadline to fix "unfair restrictions" affecting iPhone sales. Apple currently blocks its Middle Eastern distributor from selling to local Egyptian distributors, something the government says can make iPhones as much as 50 percent more expensive in Egypt than elsewhere in the Middle East. The soaring cost of iPhones is believed to be having ramifications for Apple across the globe, but especially in China, where poor iPhone sales were cited as the main cause of a $5 billion revenue shortfall in the December quarter. Local brands like Huawei and Xiaomi offer competitive phones selling for hundreds of dollars less. Madbouli added that while speaking with Apple representatives at the World Economic Forum in Davos — which CEO Tim Cook is visiting as well — he raised the idea of collaborating on education reforms in his country, particularly introducing more technology. Cook is known to have met with Armenian Prime Minister Nikol Pashinyan at Davos, and had dinner with the leaders of Brazil, Switzerland, New Zealand, and Microsoft.